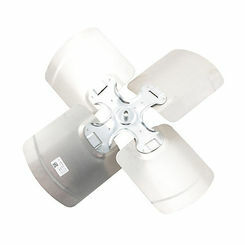 LENNOX 27K60 65256400 FAN - 10"
The blowers and motors in your HVAC system are susceptible to wear and tear. 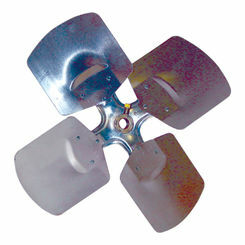 Something as simple as fan blades going bad can hamper the airflow. 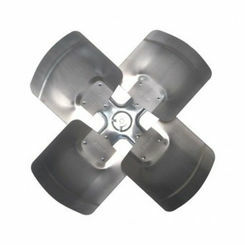 If you need a replacement HVAC fan blade, then you have come to the right place. 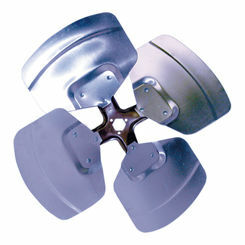 PlumbersStock offers the best prices on replacement HVAC parts. 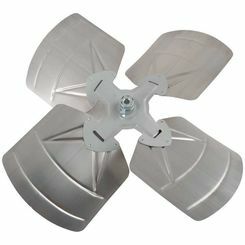 The fan blades in your HVAC system help circulate the flow of air in a single direction towards your home or building. 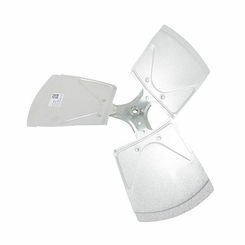 Much like any other fan, their main job is to help prevent stagnant air by circulating warmed or cooled air. Your HVAC fan blades are easily one of the most used components of your HVAC unit and as such will need regular inspection and maintenance to prevent problems from occurring. 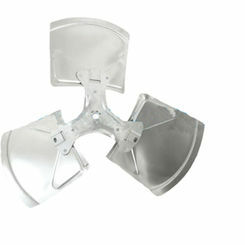 A quick inspection will reveal if your fan blades are dirty, broken, or both. If your fan blades are dirty, the easiest solution is to take an old toothbrush and scrub away all the dust, dirt, and contaminants. 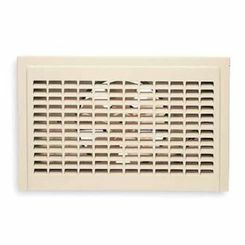 Not only does this help prevent your fan blades from clogging up, but by cleaning your fan blades on a regular basis you’re ensuring cleaner, fresher air is delivered to your home. 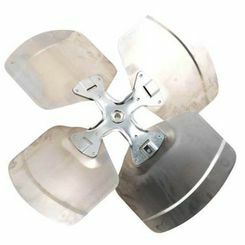 If your fan blade is broken, this page will help you find the perfect replacement part for your HVAC unit. 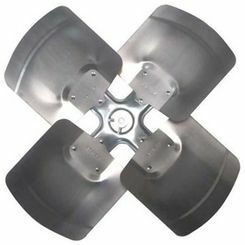 We offer fan blades of various sizes and directional rotations from some of the best names in the industry, including MARS, Lennox, and Williams. 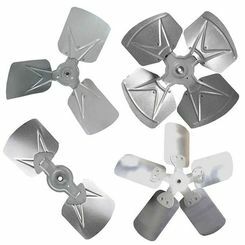 You won’t find a better price on a fan blade replacement anywhere else online because we strive to offer you the lowest wholesale price on the market. 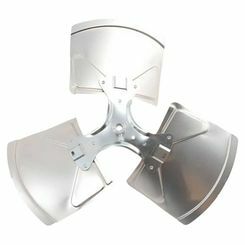 Do I Need to Replace My Fan Blades? If you’ve inspected your HVAC unit and can see that your fan blades are in one piece, clean, and not cracked or warped, the easy answer is “probably not”. 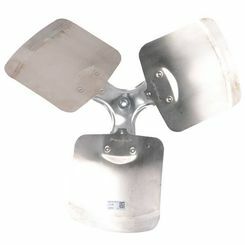 Your unit uses the fan blades rigorously to cool down or warm up the air, but that’s OK because your fan blades are designed to handle that sort of heavy workload. 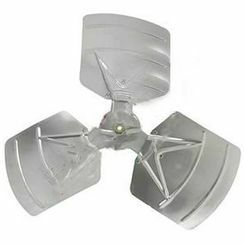 If you suspect something is wrong with your fan system and you think it might be your fan blades, here’s the one common and obvious problem that can help you figure that out. Weird Noises Happen when I Start and Use my Fan System – The only problem that may be caused due to your fan blades would be if you hear rattling, buzzing, or ticking while using your fan or AC. 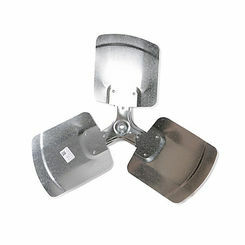 And even at that, the chances of the problem being your fan blades are rather unlikely. The more likely culprit is a loose screw. 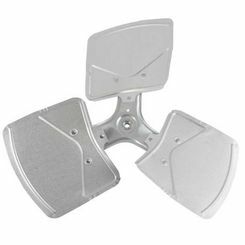 If you’re hearing strange noises on startup or during operation, check the blower motor and fan blades after checking the surrounding screws. If you’re lucky, the fix will be a simple tightening or lubrication to fix the problem. If not, you might need a new fan motor or fan blade. 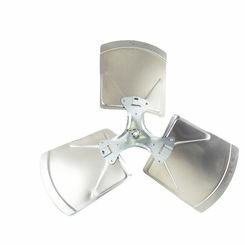 As with any constantly moving part, your fan blades will eventually wear out or break and need to be replaced. 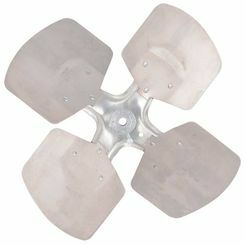 When that time comes, come to PlumbersStock and save big by purchasing your replacement fan blades here. We offer many different fan blade products for a fraction of market cost. 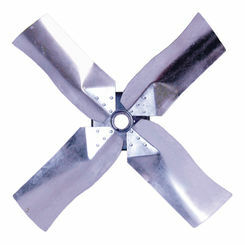 Don’t be stuck with stagnant air; replace your fan blade and keep the air in your home flowing.